IBS Jaipur (Faculty of Management Studies), a constituent of ICFAI University, Jaipur is an institute with a difference. Its vision is based on innovative learning methodologies, constant improvement, cultivation of practical skills and unwavering commitment to academic excellence. Student welfare activities, creation of intellectual capita and effective industry interaction are the cornerstones of IBS Jaipur. 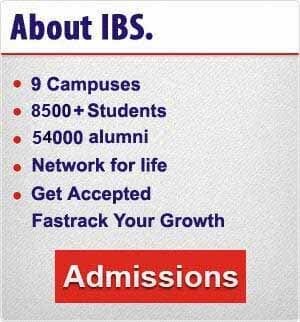 IBS Jaipur was established with an aim to provide quality education in management. The campus is spread over 40 acres of land located at Jamdoli, Agra Road, Jaipur. Jaipur also popularly known as the Pink City, and is the largest city located in the semi-desert lands of Rajasthan. The University campus has more than 2 lakhs sq.ft. built-area with academic blocks and classrooms which are well-equipped with latest audio-visual equipments and there are facilities for well equipped library, labs and computer center. To respond to the challenges of developing leaders capable of making business decisions in a complex global environment, IBS Jaipur follows a dynamic curriculum with an effective training methodology. Emphasis is laid on shaping the students’ analytical, technical and functional skills. IBS Jaipur attempts to transform our students into visionary leaders having deep sense of ethics and social responsibility. IBS Jaipur, a constituent of ICFAI University Jaipur, believes that professionals of the future need to be thinking and working, both strategically and operationally, across national and cultural boundaries. IBS Jaipur is committed to develop leaders capable of making decisions in a complex global environment and who are dedicated to serve their companies, society and humanity. We will help the leaders of the coming decades deal creatively with a diverse workforce, a global marketplace, and an environment characterized by rapid change. At IBS Jaipur education is based on innovative learning methodologies, constant improvement, cultivation of practical skills and an unwavering commitment to academic quality. We also believe that education must relate to the real world environment and be able to contribute to and benefit from it. We want our students to acquire a holistic approach which, when coupled with inner merit, will transform them into citizens with vision, a deep sense of ethics and of social responsibility. The campus recruitment program attempts to match the aspirations of the budding professionals with the expectations of the corporate sector. The placement activity is coordinated by students and spearheaded by the Career Management Center and the faculty. The campus is well equipped with air conditioned classrooms, seminar halls, computer center etc. A comprehensive library with books and subscription to several journals, magazines and online databases. A team of full-time faculty members with rich experience in management education and industry. At IBS Jaipur, various activity centers are managed by students. True to Icfai traditions, the student bodies keep themselves engaged in various co-curricular and extra-curricular activities. Tennis, Carom, Chess, Volleyball, Basketball, etc. 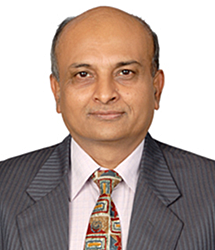 Dr. G.D.Rathod has 35 years of experience in industry and academics.He has diversified qualifications with commendable academic record; graduated in B.E. (Mechanical) from Birla Vishwakarma Mahavidyalaya, Gujarat, in 1979 and served power industry for 23 years across organizations, like Desein Pvt. Ltd, Consulting Engineers, Apollo Tyres Ltd (Corporate office), Larsen & Toubro’s joint venture company – L&T-Sargent & Lundy and also has a brief experience as Manager (Costing) in Autolite. Major functional areas in industry were power project design, engineering, coordination, new project development for lignite, gas and wind based power projects. He served in Desein Private Limited, New Delhi for 13 years and was involved 3×70 MW Lignite based pit head Thermal Power Plant at Kutch of Gujarat Electricity Board: Worked as Sr. Mechanical Engineer / Project Co-coordinator for 2×70 MW (Phase-I) from ‘Concept to Commissioning’ and involved in design and engineering interfacing and coordination of the plant. He also coordinated with Gujarat Electricity Board, BHEL (Hyd), BHEL (Trichy) and all the agencies involved in the project. In pursuance of excellence and continuous learning, Dr. Rathod who has keen academic interests in finance, acquired esteemed qualifications, like FCMA, CFA(icfai), M.Com, M.A. (Economics) and PhD in Indian Primary Markets. He has been associated with IBS Jaipur as faculty member in Finance since 2005 and also served for a year at IBS-Dehradun. 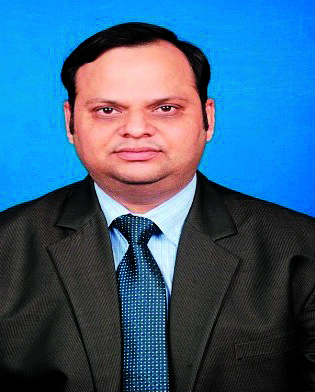 Presently he is with IBS, The ICFAI University, Jaipur as Associate Dean. Prior to this he served Institute of Rural Management, Jaipur as Assistant Professor (Finance) and Jaipur Chapter of Cost Accountants as visiting faculty for final stage courses like Valuation Management, Advanced Financial Management etc. He is a member of prestigious institutes/professional organizations like -Fellow Member of Cost and Management Accountants of the Institute of Cost Accountants of India (ICAI),Kolkata; Fellow Life Member of The Institution of Engineers (India), Kolkata; Chartered Engineer (India) from The Institution of Engineers (India), Kolkata;Chartered Financial Analyst (CFA) –The ICFAI University, Tripura. His publications include research articles in the areas of capital markets and power projects and seven such are articles published in the leading magazines/newspaper. He attended several Management Development Programs, Seminars & Workshops organized by L&T, IBS, ICAI & other Institutes and also delivered keynote lectures in seminars organized by MCA in association with Jaipur chapter of CMA under the Corporate Governance investor awareness programs and other seminars for retail investors’ interest. His areas of interests in teaching are Investment Banking, Security Analysis, Portfolio and Wealth Management, Project Management, M&As, Management Control Systems, Business Strategy and Valuation. Sanjay is an alumnus of Class of 2006 of IBS Jaipur. He finished his Bachelor Degree in Business Administration before pursuing Management education from IBS. He put his foot into investment solutions and is currently employed with Unicon Investment Solutions as a Relationship Executive. He is based at Agra known world over as the city of the TAJ MAHAL which is amongst the Seven Wonders of the World.